Thank you to our Friends of Saint Emmelia! The Department of Homeschooling was created in 2015 and is staffed by volunteers who are grateful for the Metropolitan's support for this growing educational option. The primary goal of the Department of Homeschooling is to promote, support, and unite homeschooling families throughout the Archdiocese. Secondarily, we seek to remind all parents that their children's education is their responsibility, whether or not they outsource this task. His Grace Bishop Thomas, Diocese of Charleston, Oakland & the Mid-Atlantic, is our hierarchical overseer, and Fr. Noah Bushelli (St. Philip Orthodox Church, Souderton, PA) is our director. Classical Academic Press (CAP) is a K–12 educational publishing, media, and consulting company for schools and homeschools. The company has developed and grown through 20 years of brainstorming, conversation, innovation, review, and revision. Our mission is to produce superlative curricula, media, and teacher training in order to advance the renewal of classical education around the world. Our motto, “Classical Subjects Creatively Taught,” describes our goal to create curricula, media, and training with a clear design and structure and incremental and systematic instruction, all with a touch of delight, creativity, and flair. Classical Academic Press was founded in 2001 by Dr. Christopher Perrin, along with three other teachers who were serving with him, while he was head of school at a classical school in Harrisburg, PA. Christopher is an author, consultant, and national speaker on classical education, and serves as the publisher and CEO of Classical Academic Press. He seeks to cultivate curiosity, wonder, and a lifelong love of learning in students and educators. He is also a passionate advocate for the recovery of scholé, a restful approach to teaching and learning that is part of the classical tradition of education. 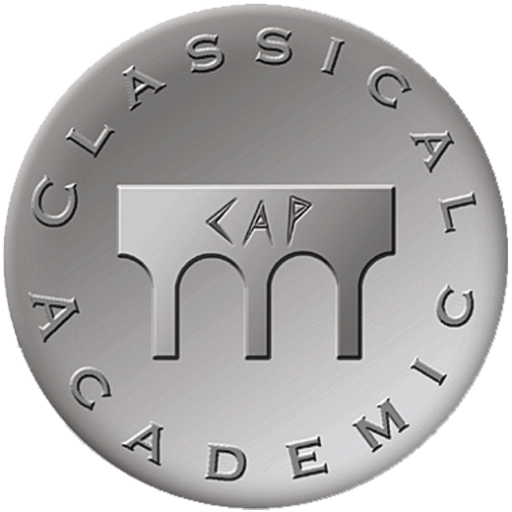 The logo of Classical Academic Press features the image of an aqueduct, which in Roman civilization provided water to towns, villages, and cities throughout the empire. The aqueduct represents our company’s goals of bridging the old and the new, harmonizing the great ideas of the past with modern design and technology, and bringing the life-giving wisdom of the ancient world to the thirsty soul of our own modern culture. In addition to curricula, Classical Academic Press has also developed services for consulting, online teacher training, online student education, classical homeschooling communities, and online student practice. We regard each of these core services as pearls that we have integrated into one beautiful necklace. Liturgical artist Nicholas Papas has been producing art since early childhood and as an adult child, professionally, for some time now. He is a communicant at Saint Joseph Antiochian Orthodox Church in Houston, TX and formerly at St. Michael's Antiochian Orthodox Church in Greensburg, PA. While studying painting at Indiana University of Pennsylvania, Nicholas simultaneously began to learn iconography from his priest, the late Reverend John Osacky (+ Job, Archbishop of the Midwest, O.C.A.). After receiving his degree in 1981, he advanced his iconographic skills in Athens, Greece under the tutelage of Nicholas and Basil Lepoura. For 36 years Nicholas has been blessed with opportunities to do original work for churches and homes throughout the United States; (though reproductions of his work are on 6 of 7 continents!) It is his hope that God will use his work in a way that people will learn of the love of God. Nick can be contacted for commissions, workshops and speaking. 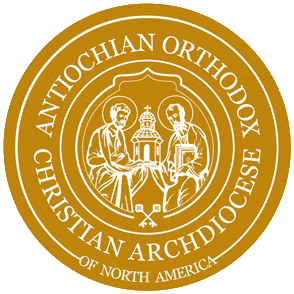 A glimpse into his thoughts can be seen in published works: in "The Sounding", a blog of the OCN (Orthodox Christian Network) and in “The Word” Magazine (the periodical of The Antiochian Archdiocese). Nick’s proficiencies span an eclectic spectrum: painting (specializing in murals), mosaics, ceramics, metalworking, jewelry, woodworking, drawing, photography, printmaking and additive sculpture and more. See more of his beautiful iconography!